Another 21.9 miles on Schwinn 150 this morning. My total miles are now 6,936 miles. Virtually I am located on US-380 E and I am somewhere in the flat lands of Texas. Well I think they are flat lands cause I cain’t see any mountains, hills, or upgrades of plowed acreages from the Google Maps image. I have a question due to an advertisement I saw on TV recently. Why does one need Tums to be able to eat one’s favorite food? And of course, I have some more question, especially since the ad had an actor playing badminton with a roasted turkey… Why not coat the turkey, as it is roasting, with Tums? Why not find another favorite food? 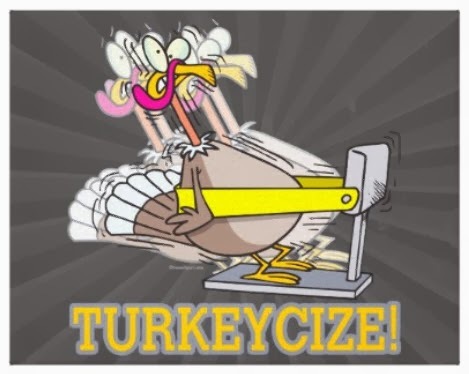 Doesn’t it make sense to find another way to cook the turkey? 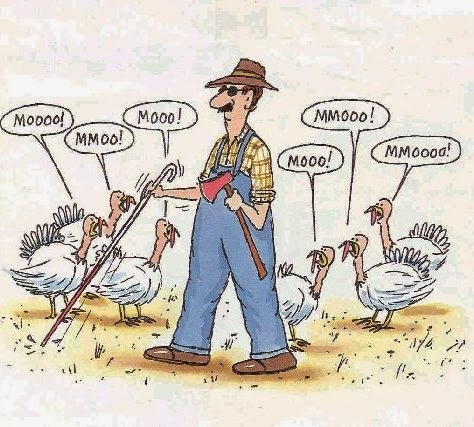 And I thought turkey was supposed one of the mildest proteins out there. 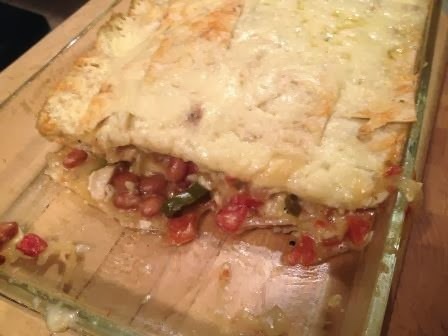 Why bother suffer and then take something to degrade your inner digestive system? 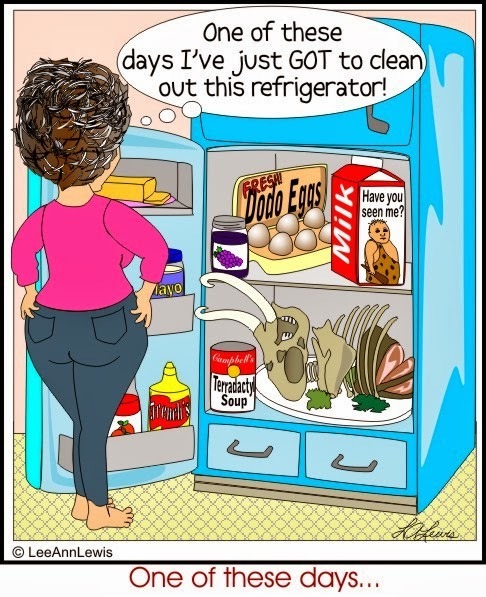 Wouldn’t it more sense to learn to avoid those foods that may or may not cause the supposed irritation? Today I continued my work and writing of my morning pages at 750 Words. This is definitely a site and application that gives me the incentive and wherewithal that I need each and every day to write, that is, just write whatever comes into my head. Believe it or not this is aside from the writing I do for my sites and blogs and the search and research that I do. Who would have thought that I would just write, and like it, for the sake of writing? 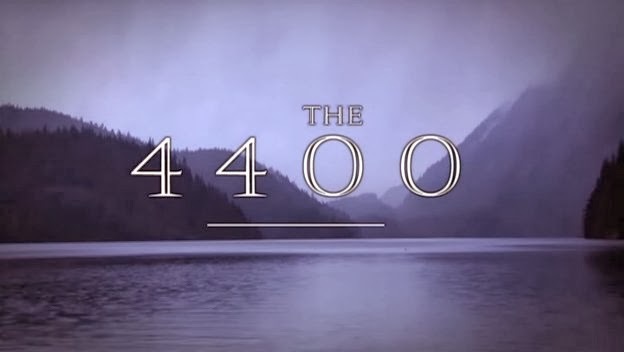 I found a new series that I can watch while I am cycling; The 4400… known as “the four-four hundred.” It is a science fiction series that lasted only four years on television. Everything begins in the year 1946 and continues to the present day, the start of the first episode when 4400 people who had literally vanished, all return back to earth on the day that a comet streaks to Earth. This obviously means that there are a number of sub-plots circling around the main theme. It is just the type of show that I like. Day after Thanksgiving, and a Happy Black whatever Friday. Just thinking about how many are beguiled into believing that the beginning of the season is just made for shopping. It is this time of the year that I keep trying to stuff my Scrooge-alias into the cupboard and allow myself a modicum of solitude. Dickens tried… and Hollywood milks it. At 8:25 pm last night the Target parking lot in my neighborhood was filled to overflowing. 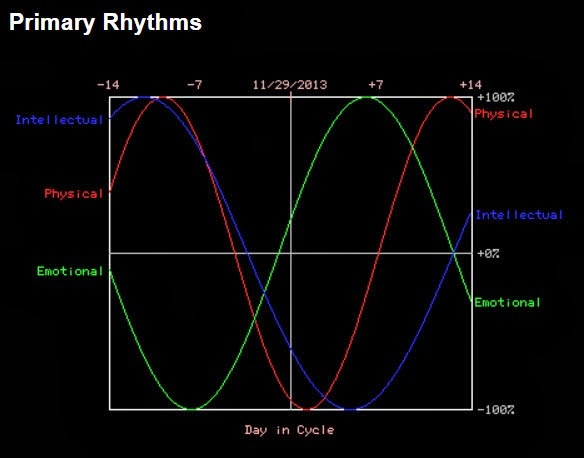 My Emotional cycle is in an upward swing as it moves into the positive zone of the cycle. My Physical and Intellectual cycles are at the bottom. For the next two weeks I will, as implied, have to take it easy in my abilities to succeed at tasks and to obtain what I desire. Enough said. This morning my virtual Trek has me heading east on US-380 E toward County Road M. Only 310 more miles until I reach my 33rd Interlake address goal. 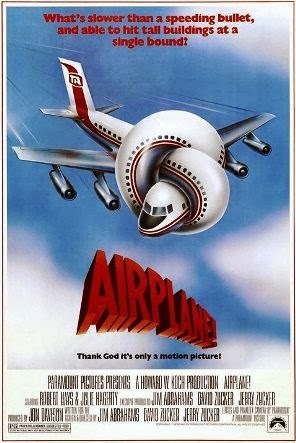 Today’s viewing companion was the first part of the 1980 blockbuster movie, Airplane!. I am definitely reeling, no pun intended, at the differences between the film's airport and terminal scenes and what and how TSA, Homeland Security, and the world has now progressed to 33 years later. My Thanksgiving menu – Aloo Tikki, Chicken Vindaloo, Chettinad Chicken Curry, Gobi Aloo, Dal Makhani, Rice, and Garlic Naan…and I ate way too, too much. Definite spike in FBS, which means that I have to bring it down today. I burned 636 calories this morning. This morning I cycled 23.0 miles on my Schwinn 150. My total miles to date, 6,892.9. My location is on the west side of the City of Brownfield, population of about 9,700. I am on US/380 E or Tahoka Road at the intersection of N Cedar Street. I can see that the decorations for Christmas have been put up. This morning I received an email from one Craig Drachtman. This is someone who I am not sure I can remember his face or where if ever I met him. But for sure the email was sent from Brandeis University. How nice. I am flattered and flabbergasted. I certainly needed some change for Humanitarian and personal uses. Wonder where I will start? Mr. Drachtman does explain that I have to get in touch with “her attorney, Gilbert Rogers…” He, Mr. Drachtman, does provide an email address for my benefit. And the email address is xyzabc@Rogers.com. Rogers Communications is a Canadian communications and media company. So now I have a pending $12 million gift announced by someone I do not know sent from Massachusetts on behalf of someone who just out of the blue wants to be nice to me but I have to contact a lawyer in a law firm somewhere in Canada. What, pray tell, am I going to do? 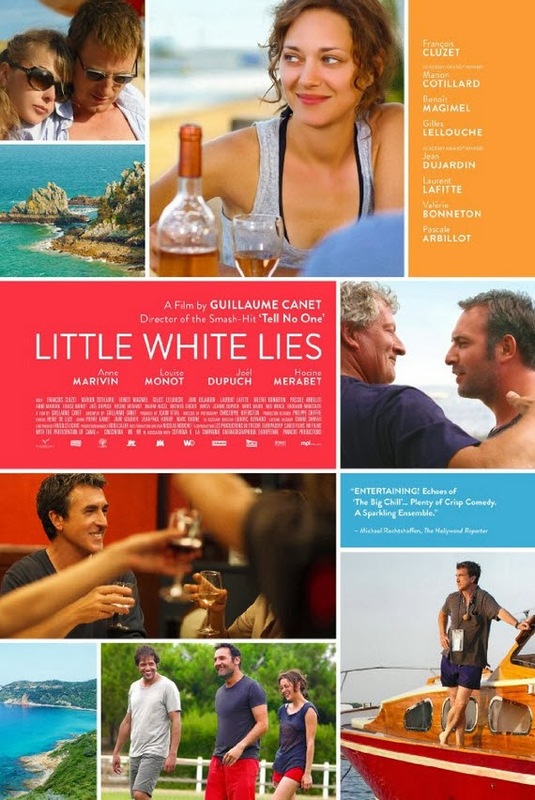 Today I finished watching the second part of the French film Little White Lies while cycling on my Schwinn 150 . I enjoyed the soundtrack. I also think that this movie is worth a second viewing. 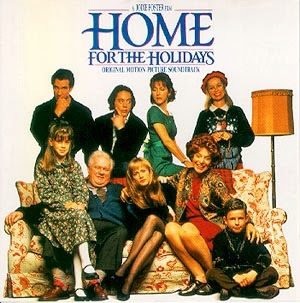 There is so much going on about the relationships of the friends and listening to the French dialogue and reading the English subtitles I am sure that I must have missed some key connecting bits. And this cold morning, sort-of, in Tampa, I cycled 21.8 miles on my Schwinn 150. Only 130 to my next achievement. I am in Texas and I am headed east on US-380 E/US-82 E toward County Road 445. I passed through the Town of Plains this morning. I think the population is about 1,520. Just 354 miles to my next Interlake address goal. Maybe my next Trek. Just think Total Recall. If it happens in Italy, it should happen in Florida… Berlusconi out, Radel should follow suit. Leave of absence does not fly. And here again, total recall. And my Schwinn 150 viewing pleasure this morning was the first part of the 2010 French movie Les petits mouchoirs, or anglicized, Little White Lies. The movie is in French, obviously, with English sub-titles. It is sort of a French version of the 1983 film The Big Chill. This one’s a good movie to watch while I am on my Trek… I have my ear tuned to the French dialogue but I sort-of have to pay attention to the English subtitles. This morning, in Tampa and on my Schwinn 150, I cycled 22.6 miles. I burned 721 calories. I have now cycled, in 344 days, 6,848.1 miles on this Trek. Only 1,492 more miles to go and then I begin Jim’s Trek Part III. Any suggestions? And please, there are no Columbus jokes on the page. Today I crossed the states’ border and I am 3.4 miles on US-380 E along into Texas. The Google Maps image, taken in 2009 certainly is bright. I adjusted the contrast and brightness of the image as the reflection of the sun is certainly blinding. My fasting blood sugar count is holding at 95 mg/dL. My eAG or average glucose is at 114. Yes, I know I’m blasting my own horn. This exercise thing is doing the job it is meant to do. 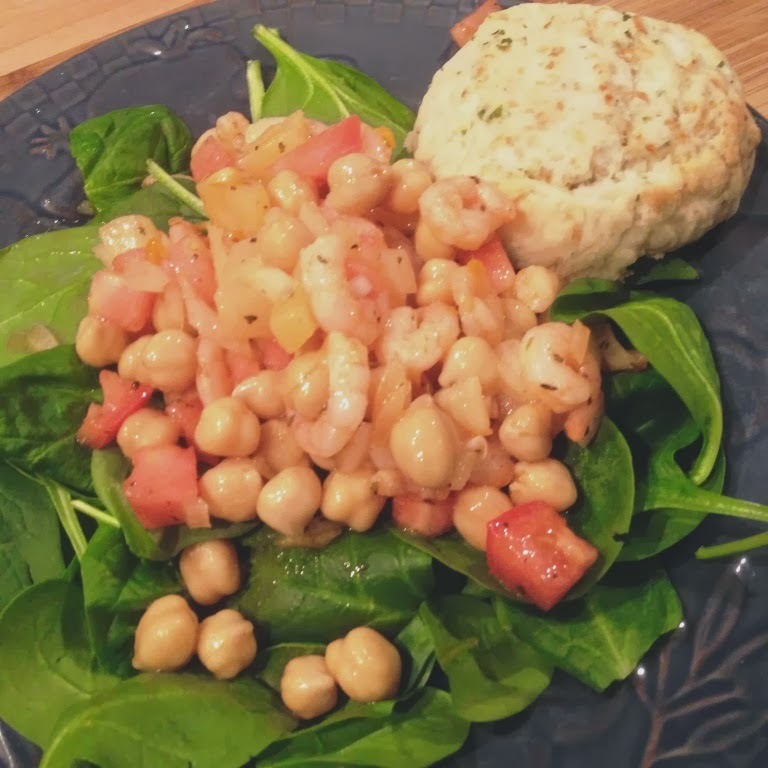 Last night’s supper was another one of my quick throw together cause Jim’s Gotta Eat… Shrimp and Pineapple with Chick Peas on Spinach Salad. I’ll write this one up on Jim’s Gotta Eat. 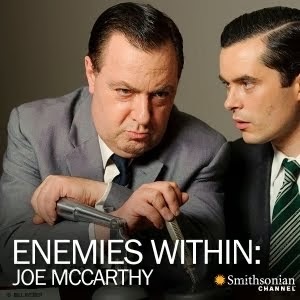 And I continued to watch the Smithsonian Channel’s production of the Enemies Within: Joe McCarthy. My only question – Ted Cruz – Joe McCarthy = reincarnation? 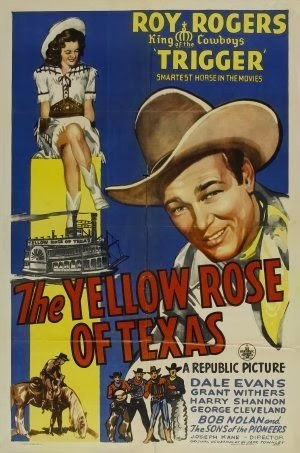 Just think I did find a copy of the complete 1944 movie Yellow Rose of Texas on YouTube. Maybe tomorrow? I’m working on a new quilt design CK’s GPS. This one gonna be something completely different, I think. You’ll have to stay tuned. I have to update the status of our current projects. Check back shortly at Quilts SB. I did post some new images of our Blumish Two. Today on my virtual Trek I am still headed southeast on US-380 E. I am approximately 19.2 miles from the New Mexico and Texas States’ border. It also means that I am 1,515 miles to Tampa and from completing the goal that I set out for myself. I am successfully continuing a task as suggested by Julia Cameron’s The Artist’s Way and I am writing 750 words just about every morning. I have had three one day breaks but I have continued writing, actually typing my words using the application 750 Words. I began on July 8 of this year and I have been able to maintain an almost constant and successive goal. And I just got back from my Dentist. Friday evening a chunk of one of my crowns experienced a “coup de tête”. Here I go again, temporary in place. 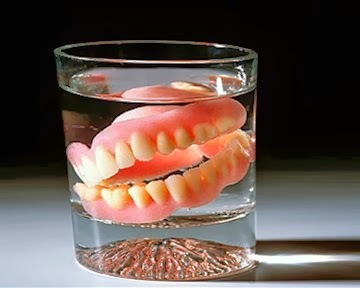 Maybe I should try out the hippopotamus ivory dentures similar to our first President's. It is only a myth that he had wooden chompers. This morning I watched the 2012 production Aliens Inside Us. This is not about the aliens that Tom Cruise and his wackiness tends to think and believe but the trillions of microorganisms and thousands of bacteria and fungi that are in and connected to us. A very interesting documentary on the Smithsonian Channel. And then I immediately followed that with the first part of the 2012 production of Enemies Within: Joe McCarthy, also on the Smithsonian Channel. I will definitely finish the second part on tomorrow’s Trek. And one never knows what is lurking in some dark corner, somewhere. The binding for our new RG2013 quilt is completed. We are now awaiting the information for its label. Tampa Kaleidoscope is being mounted to our long arm. And I am almost finished the new band to our Vanderbilt Afghan. This morning I topped 6,800 miles on my Schwinn 150. I cycled 21.7 miles again, and I totaled 6,803.5. I am headed southeast on US-380 E/2nd St toward County Road 159/Grose Rd. As I continue to virtually follow US-380 E, I will enter Texas in about two days. And that’s 420 miles to my 33rd Interlake address goal. And Jim’s Trek is a two phase journey; the physical exercising part and the mental, virtual part. 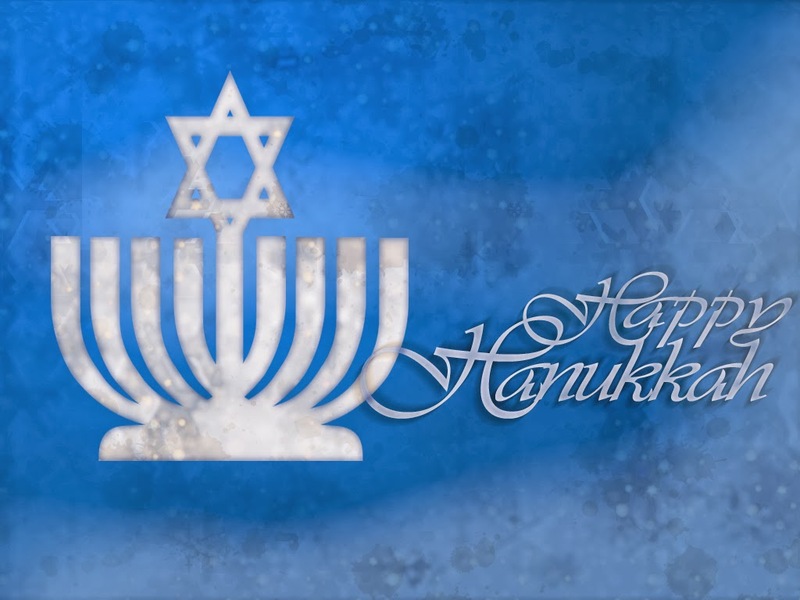 If you are a new reader of this somewhat simplistic blog, which I began on December 2, 2012, please know that I have not tried to pull anything over on anyone, least of all myself. I began my Trek with the intention of just doing some exercise. I did not know what the outcome or the benefits would be to this old-ish body. They certainly have happened. 11½ inch reduction, no more diabetes, lower blood pressure, and reduced cholesterol levels.And I did not know that the future would affect my present and definitely open the doors of my past. Did I say that The Pack has grown to six? That is SIX leashes and 24 legs, for a complete week. One hundred and twenty pounds all the way down to 10. I feel like a master puppeteer. Three of the six, the largest and the two smallest, that is Moxon and Tinker and Max, believe that a walk is one that is accomplished in circles. So think of the discombobulation, Moxon, Harbor, Radar, Tinker, Bella, and Max, as I try to fathom who’s leash is who’s… as I deal with the canine celebration of me, the token May-pole. It is cooler in Tampa MM, but there is no snow on the ground. My viewing pleasure, I think this morning while on my Schwinn 150 was the 2011 Broadway production of The Pee-Wee Herman Show. I haven’t ever watched a Pee-Wee Herman show or movie. I guess I was just too, too uptight and was blind to that sort of comedic humor. 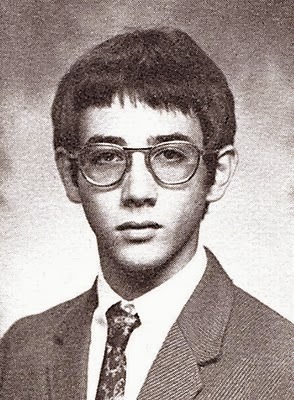 I was amazed at the subtle writings…but I kept waiting for Pee Wee’s Schwinn X-1. I did learn that his bike was built off a late 40’s/early 50’s Schwinn DX frame. I felt forsaken, but I continued on my Trek on my Schwinn 150. This morning I cycled 23.0 miles on my Schwinn 150. My total miles – 6,781.8. I decided to do at least one extra mile for missing my regime yesterday. 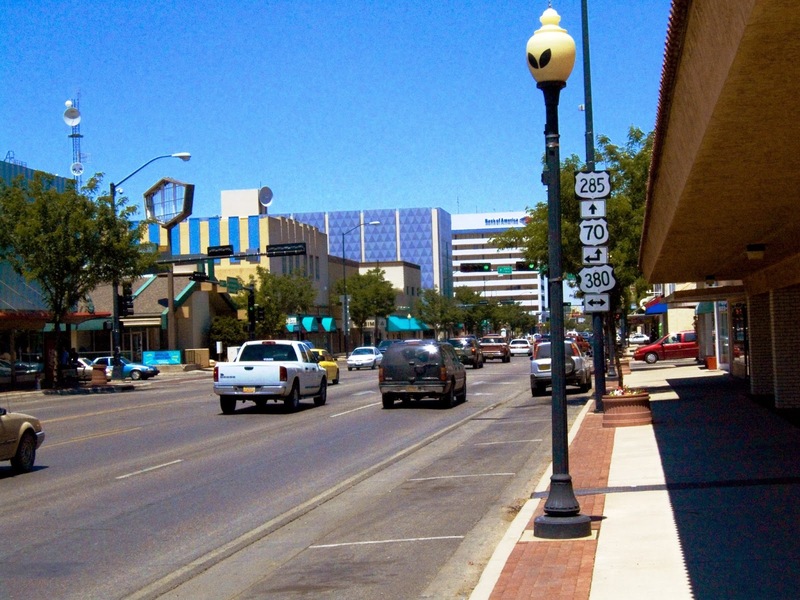 My location this morning is on Us-380 E/E 2nd Street west of Roswell, New Mexico. I still have another 443 miles to go to get to my next Interlake address goal. I did not exercise yesterday on my Schwinn 150. Too many interruptions. Doctor’s appointment early in the morning, kitchen construction came to a completion, and I finally was able to clean the floor. I just did not cycle. I did not quit cycling. I wonder if that makes much sense? Doctor is extremely pleased with my progress and management of my diabetes with exercise, the cycling and the diet. My A1c reported at 5.6% and my average FBS is 94.2 mg/dL. I wonder if there are other diabetes’ candidates who have done this type of exercise regime. I wonder if there are any studies regarding diabetes, exercise and diet, of this type, and the fact that blood sugar counts are kept at near normal. It would be interesting to find out what sort of success factor exists. My blood sugar count yesterday was up to 108. Conclusion, Chinese buffets no good for glucose; Asian recipes one of the best. Definite control of sugar and no MSG. 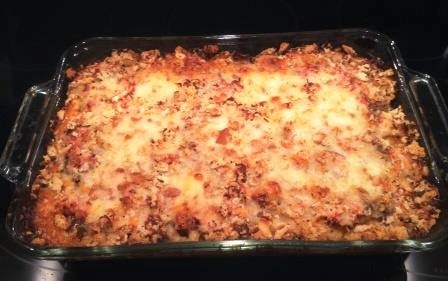 Last night’s supper homemade spicy Italian sausage and eggplant plus casserole. Fasting blood sugar count this morning 101. 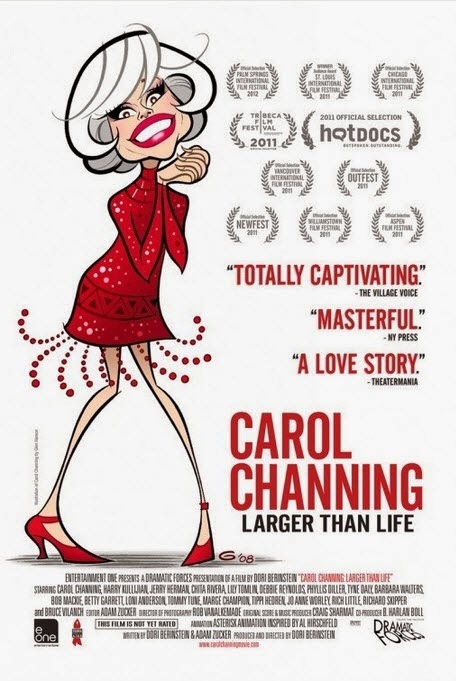 Today’s viewing company was the 2012 documentary Carol Channing Larger Than Life. Definitely kept me cycling without interruption. Today, this morning, I cycled 22.0 more miles on my Schwinn 150. The total number of miles I have now completed equals 6,758.8. I can’t believe that I have completed that amount of miles. And in truth, this accomplishment is only for me. This morning I made it to Roswell, New Mexico. 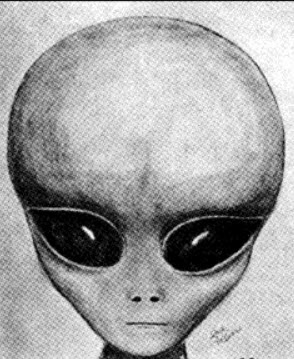 Yup, that Roswell. I am now on East 2nd Street between N Orchard and N Atkinson Avenues. I’m at the Cowboy Café, just in time for breakfast. But after the caravan I stopped in at the Crazy Buffet. Same difference, I guess. The first thing I noticed this morning in the Roswell image are the two marks on the lamp. Are there any subliminal messages here? 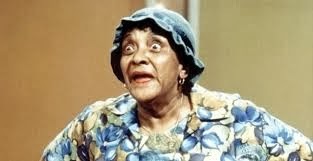 This morning my cycling companion was Whoopi Goldberg’s most recent 2013 documentary Moms Mabley. And boy am I still learning. This morning I cycled 21.7 miles on my Schwinn 150 and I have now cycled a total of 6,736.8 miles. I did miss not exercising yesterday, and I will explain further on down. I sort of felt guilty not cycling and missing a day. Does this mean that this has now become routine and a habit? 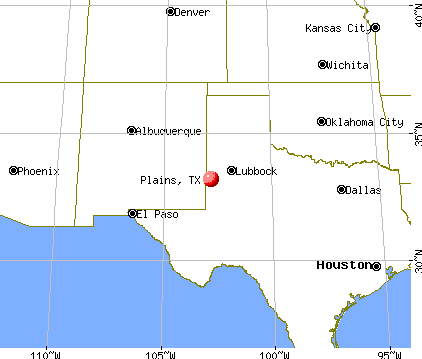 And for my virtual Trek, I am still in New Mexico and I believe that I am just east of the City of Roswell. I believe the population is about 48,000. More on that tomorrow. This morning I am headed east on County Road E022/US-380 E/US-70 E. If I continue to follow US-380 E I will be entering Texas soon. I did not cycle or write my morning pages yesterday because my Norton Anti-virus software, which runs every day, sort-of, crashed. This is one of the key security software that I use to insure that my PC is working and protected as best as possible. It is the one that has assisted me throughout the many years that I have been using one. Well I spent about two hours trying to figure out why the software had crashed and then as it was way, way beyond my grey matter and small-capacity brain, I contacted the Norton support online. I spend about an hour chatting with Kabul, I guess somewhere in India. S/He was able to find the problem, fix it, and now my Norton Anti-Virus software is working again. Last night when I scanned my PC the software ran for a couple of hours, while I was asleep. It was able to quarantine and stop four Cloud viruses from infiltrating my system. The world is becoming so much smaller and I thank Kabul and his/her assistance and knowledge. I am not trying to get into a political discussion but I am perplexed and quite bewildered at the support and the voting population that actual elects some of these pronounced Tea Party members. There are a number of these elected “idiots” who are so diametrically shysters and two-faced. Take recently election Republican Trey Radel. I mean at 37 years old one would think that he should have certain brain capacity about himself. Well, he was arrested on account of a law, that he as an elected official is supposed to uphold. And I do not hold with the argument that “he is just human”. I mean this no-brain “co-sponsored legislation to change the nation’s mandatory minimum drug sentencing laws and voted for a bill that called for states to drug test people who receive food stamps.” Because of him and of the others, can't touch Tom Ford from this part of the continent, should not the legislation be amended to include annual testing of all elected officials? I would go one further, and ask how are voters examining the candidates that they elect to office? 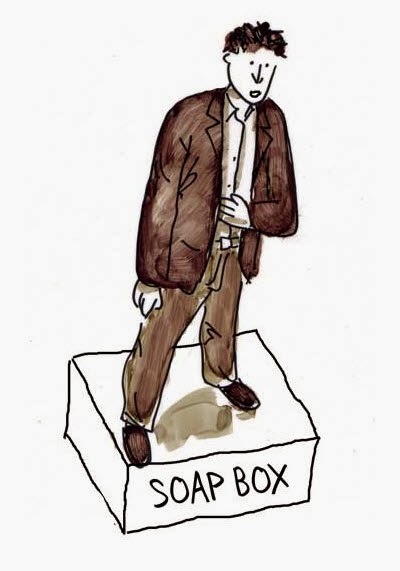 Okay, I’ll get off my soap box. My viewing companion while I cycled this morning was the 2012 movie Frances Ha. Definitely a good but somewhat strange movie. It is a black and white film about one Frances Halladay, who is a sort-of dancer who sort-of lives from place to place, who has some dreams. I'm not sure of what those dreams really are. I was intrigued. Andy and I received the news that our quilt and wall hanging Cosmo’s Moon has been accepted to be exhibited at MANifestations at the Rocky Mountain Quilt Museum in Golden, Colorado. Check out Quilts SB for details. Our new commissioned quilt RG2013 is now off the long arm. The final touches and the quilting work on our domestic machine is now being done. Work continued on our new afghan Vanderbilt. This one is a work in process and a step-by-step design in the make. I will be writing up some new details in Afghans SB. Day 115 – (AD 338) – Jim's Trek Part II – The Sequel – 22.0 Miles – Somewhere in New Mexico on My Schwinn 150. This morning I cycled another 22.0 miles on my Schwinn 150. I burned 688 calories. I had to. Last night I had one too many corn chips and salsa, two burritos con carne, a Sangrita, and a deep-fried ice-cream. Fasting blood sugar count was up, as expected, to 107 mg/dL. Got to bring it back down, today. This morning I am still in New Mexico on County Road E022/US-380 E/US-70 E. I am about halfway between Hondo, population about 1,100 and Picacho, population 6, or is it 381. And then I found 82, and also 28. Who really does count these people? Anyone know? Okay I ready Thomas B. Costain 1955 novel, The Tontine. Thank you PT. This was the second time I read it and each time I was completely intrigued with the characters and Costain’s writing. The story is of “A London con man creates a tontine wherein the surving members receive interest on their investment, while the capital, after some years, is to go to the care of…” final living. The concept is good, I think. 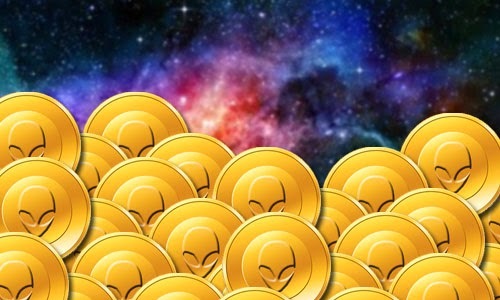 Well I just read Jason McClellan’s November 18th’s article “Scientist proposes bond that will pay out when aliens are discovered.” The lottery is a bond which would, all-things-being-equal, help to collect monies to further the search for extraterrestrial intelligence. Sort of sounds familiar… I think. Finished Scatter My Ashes at Berdsorf’s. My next viewing companion this morning is, in two-parts, Chely Wright’s 2011 documentary film Wish Me Away. Can she sing? And is she a gorgeous lady? Back to work on our next quilts, afghans, and search for my genealogy. And then there is the Shape Shifter. Day 114 – (AD 337) – Jim's Trek Part II – The Sequel – 22.0 Miles – Another ½” in New Mexico on My Schwinn 150. Another 22.0 miles cycled this morning on my Schwinn 150. And if I hold my stomach in, it has happened; my waist is down an additional ½”. I have now gone from 44 inches to, let the drum roll, to 32 ½ inches. Damn, the last time I saw my waist that size was 32 years ago… This is the first measurement of 32 ½”…and that is a good Damn. This cycling thing is working for me. I have lost only 6.2 pounds since I started on December 2, 2012. Not a big deal, but, BUT I have lost 11.5 inches on my waist. And I am cycling, on a stationary bike in a real world, an average of 19.8 miles a day. In the last month, that average has been 21.7. Doctors’ appointments next week will bring in the new results, and then I will ask myself the where do I go from here question. Obviously I will be still cycling another 1,647 more miles to return back to my home in Tampa, Florida, but I am thinking about what about after Tampa. Virtually, on my Trek I am located and headed southeast on US-380 E toward County Road C002/Fs 57. I am now 531 miles from my next Interlake address goal destination. I was recently asked “How have you kept up with your cycling and how have you realized your goals?” My response is that I did not set any actual or physical goals; I set some virtual goals. Jim’s Trek is the goal and the route that has allowed me to realize the real, physical and medical accomplishments. What has happened? The waist size reduction; the dismissal of diabetes; the elimination and reduction of medications for diabetes, heart, and blood pressure have all been a subordinate, but tremendous, achievements of my daily cycling on my Schwinn 150. 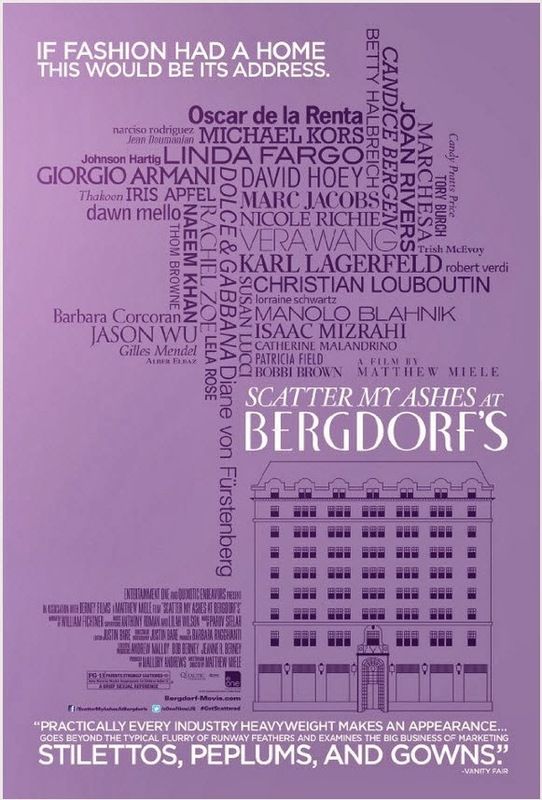 My viewing companion this morning is Matthew Miele’s 2013 documentary Scatter My Ashes at Bergdorf’s. I will be watching it on my Schwinn 150 in two parts. As stated at Rotten Tomatoes, “…a fun documentary which ultimately doubles as an infomercial for the Manhattan store.” But in the secret of my cycling, it kept my mind absorbed. Last night as I was working on our new crocheted afghan, Vanderbilt, I thought that I had inserted a mistake. And so I pulled out half of the work that I had finished on the 5th band. I then discovered that I hadn’t made a mistake. Now double the time to re-create. Quilting on our RG2013 quilt is almost complete. We are learning to allow the freeform use of our long arm assist in the creation of a complimentary quilting design and pattern. Check Afghans SB and Quilts SB for updates shortly. Now back to my transcription work and my search for my ggg-grandfather James Smith. Check out A Genealogy Hunt. Day 113 – (AD 336) – Jim's Trek Part II – The Sequel – 21.7 Miles – Just About Center of New Mexico on My Schwinn 150. This morning I cycled 21.7 miles on my Schwinn 150. I have about 1,670 miles more to complete my journey and my Trek. Accordingly I only have 84 more days on my stationary cycle. All-things-being-equal I should be completing my complete journey on about 8 February 2014. Damn I will have been cycling for just 14 months. Now that’s the physical part, and the virtual part – I am on US-380 and heading in a south easterly direction. This morning I crossed over the Valley of Fires, the Carrizozo Malpais. I learned something today. And then I traveled through the Town of Carrizozo, population about 1,000. Just a quiet day today. Day 112 – (AD 335) – Jim's Trek Part II – The Sequel – 21.7 Miles – New Mexico on My Schwinn 150. This morning, yes, my Schwinn 150, and yes, 21.7 miles. My total on this 335th day of my Trek – 6,649.4 miles. And on my virtual trip, I am somewhere, still in New Mexico, on Highway US-380 E. All-things-being-equal I am about 19 miles from the next Town. 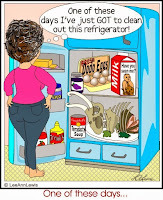 Wasn’t on my list of things to do, but today is Clean Your Refrigerator Day. Just remember your refrigerator just wants to be your friend. I watched the last part of Bleak House on Netflix. I would suppose that Smallweed does have his shtick. For a while I wanted to say “Beam me up”, instead of his consistent “Shake me up”. I will be looking for my next cycling - viewing companion. Not much more to talk about. Day 111 – (AD 334) – Jim's Trek Part II – The Sequel – 21.5 Miles – Not Lost in New Mexico on My Schwinn 150. And I did not want to get on my Schwinn 150 this morning. But nothing ventured, nothing gained. Or should I say lost. This morning on my Schwinn 150 I cycled another 21.5 miles. The exercise has its results. My doctor has halved the prescription of one my blood pressure medications. And now the next question, at what point do I become “bored” with the cycling? At what point does it become a part of my daily routine that I must schedule all my other commitments around my cycling? Obviously the benefits outweigh the non-performance. On my virtual Trek I think I am in the middle of what appears to be nowhere. 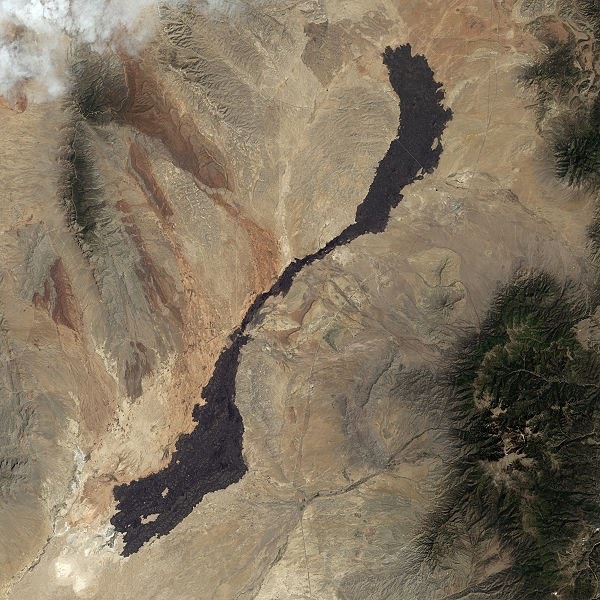 I am located in New Mexico and I am headed east on US-380 E. Using the Goggle satellite image there are no labeled markers or points of reference from approximately two miles up. From about 500 feet I can see that I have passed L-C94. This morning I began at "A" and cycled to "B". I am now 596 miles from my next Interlake address goal. I am also 1,712 miles from the end of my Trek and my home in Tampa, Florida. To date I have cycled on my Schwinn 150 6,627.7 miles. 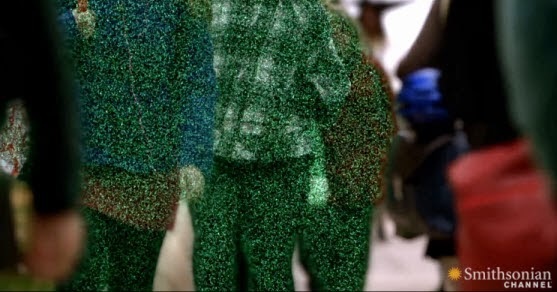 When the electronic portals cannot be trusted, why would the elder generations expect the youth to have any confidence? Watching Bleak House, while I cycle, I am intrigued as it has now turned into a crime investigation. Oh and by the way, I guessed who dunnit. Wonder if Dickens had intended to pen an earlier version of Law and Order? Day 110 – (AD 333) – Jim's Trek Part II – The Sequel – 21.3 Miles –6,606.1 Miles in New Mexico on My Schwinn 150. And today, another 21.3 miles on my Schwinn 150; total to date 6,606.1. This morning I passed through Socorro, New Mexico, turned right and moved to the south paralleling the Rio Grande. At San Antonio I crossed over the river on 2nd Street. I am now headed east on US-380 E/2nd Street toward Co Road 158/Cam San Pedro/San Pedro Road. "James K Smith: According to our records, you are among the Florida Veterans who are not yet receiving The American Legion Benefits to which you are eligible." In my dreams I must have served sometime, someplace to become a Florida Veteran. I know I take virtual reality trips. Just check out Jim's Trek. I know that I am reaching that point in life that I may get some more gray hair. As British by birth I do not remember any type of associated relationship with The American Legion. As a Canadian citizen I did go to school somewhat near to the 49th parallel. When I became an American citizen it was sometime after I may have been eligible to serve in any one of the four branches. I know it may be a pittance, but is there not a cost to some department of The American Legion? A cost for the package that came very nicely addressed to me? Okay, my name and address might be the result of a purchase of a mailing list by some mail order third party company. The question is what percentage may warrant a viable write-off for wasted copy to non-eligible recipients? And is this a Florida thing? I watched my cycling companion Bleak House this morning. Josiah Tulkinghorn is just the type of fictional lawyer on truly loves to hate. And it appears that almost everyone in Dickens’ novel does so.